Redeemer: Enhanced Edition will be available for Switch on June 25, Buka Entertainment and Ravenscourt announced today. The game will be sold both physically and digitally. 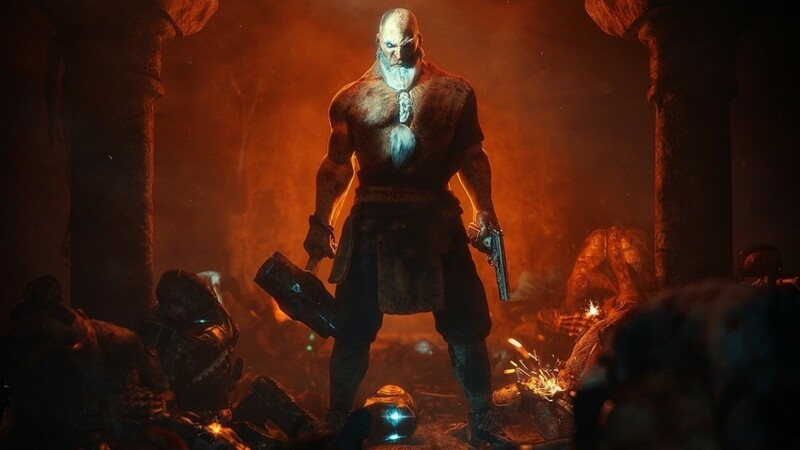 Redeemer: Enhanced Edition is an intense modern take on the Brawler genre where you will punch, hack and blast your way through enemies using fists, hammers, fire arms and even the environment. Play as Vasily, once elite operative working for the biggest Cybernetic Weapon Manufacturer in the world, he narrowly escape to a secluded monastery when the corporation turned on him, willing to make him one of its cyborg soldiers. For 20 years he tried to find peace and harmony amongst fellow monks until the corporation eventually found his trace and is now closing-in on Vasily’s location In so doing, they have given him one last shot at redemption. Intense top-down action: Take out enemies using a wide selection of fire arms and melee weapons including combat knives, batons, fire axes, hammers and many more. Brutal hand-to-hand combat: Take out enemies using a wide selection of fire arms and melee weapons including combat knives, batons, fire axes, hammers and many more. Disarm-or-dismember system: Use a unique combat move to either disarm enemies of their firearms, or dismember certain enemies at will and use their limbs as melee weapons. Parry System: Defend yourself whilst taking down your enemies by utilizing a well-timed block. Learn the movements and attack patterns of different enemy types to perfect your parry. Story driven single-player: Discover Vasily‘s haunted past and experience a narrative journey of betrayal and redemption. Co-op mode: Play with your friend in co-op mode on one console: Friendship is tempered in battle. Leveling: In-game leveling is based on a gradual battle skills improvement – character’s proficiency with a skill is increased through practice of different attacks: kicks, punches, light and heavy melee weapons or guns such as handgun, shotgun, submachine gun, assault rifle or plasma gun. Perks system: You have 50 perks to improve the killing efficiency of Vasily. Expand his abilities after every victory. Use new incredible fighting perks – electro punches, dragon breath kicks, explosive plasma and flame bullets etc.